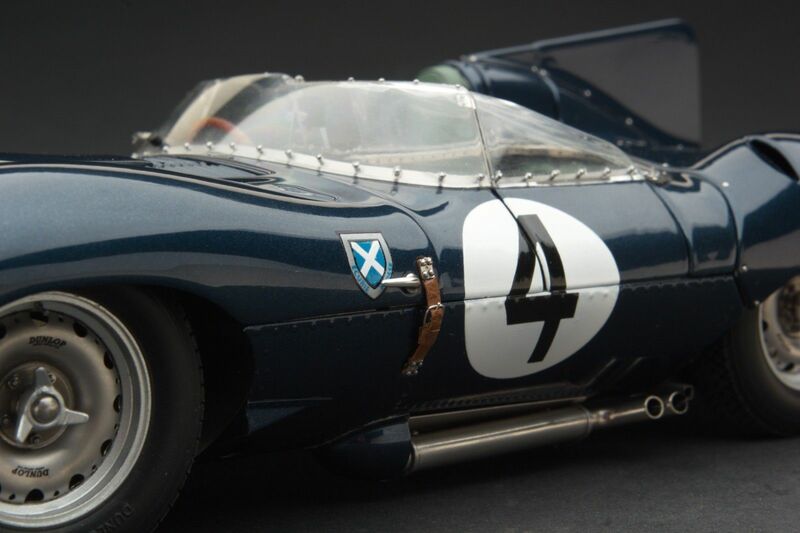 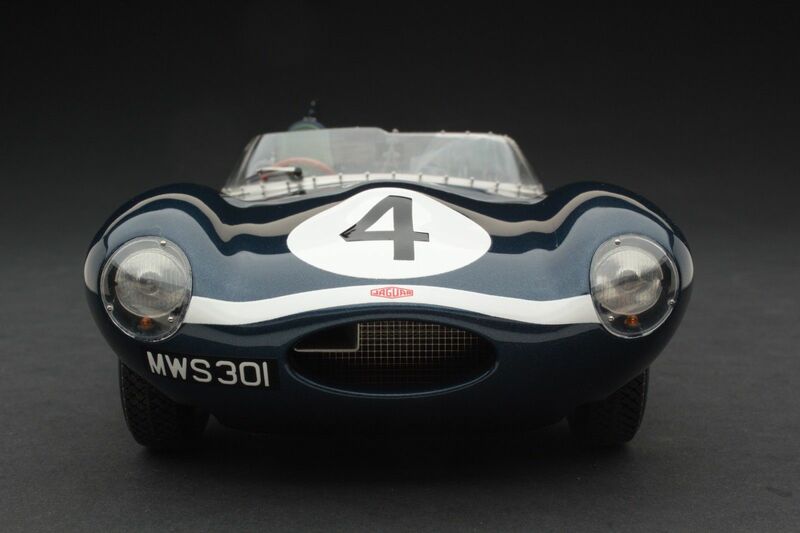 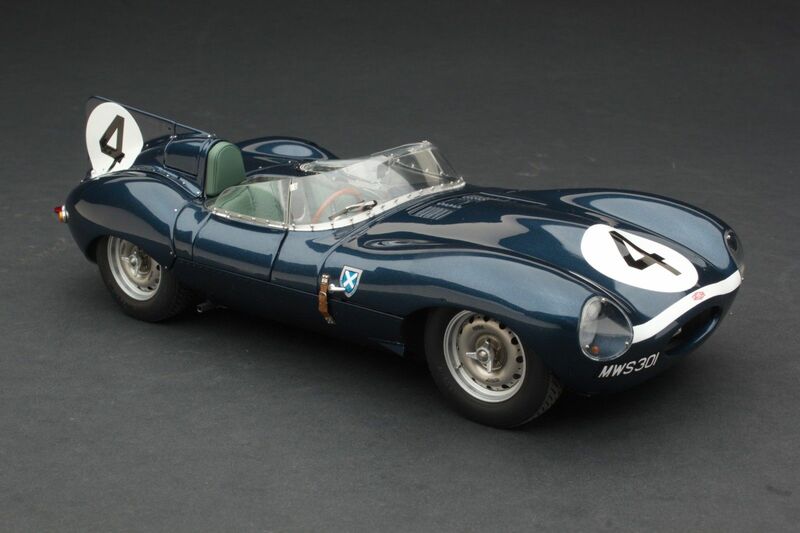 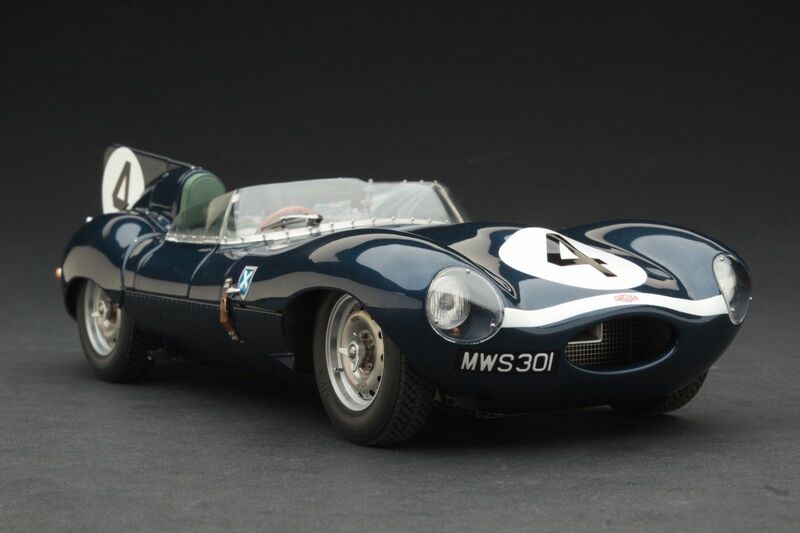 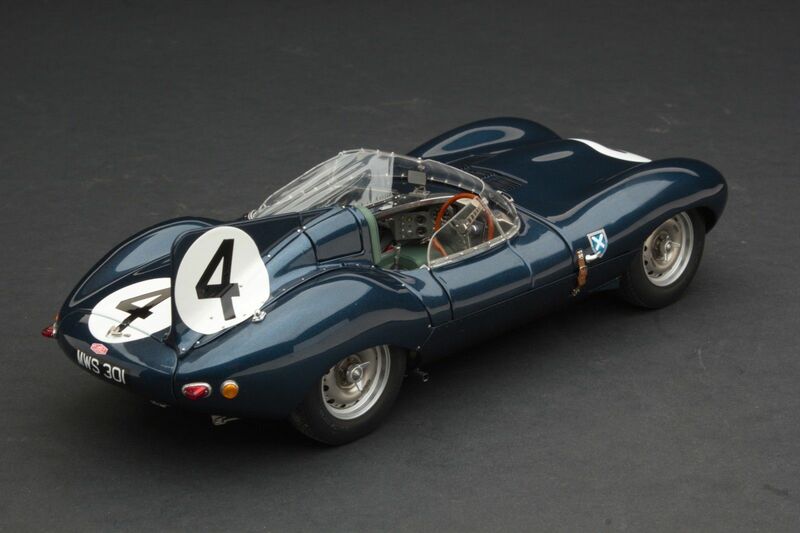 This is a brand new Limited Edition (956 worldwide) of the Jaguar D Type ‘Short Nose’ entered in the Le Mans 24 hour race by the Scottish Ecurie Ecosse (Scottish Racing) team driven by Roy Flockhart and Ninian Sanderson. 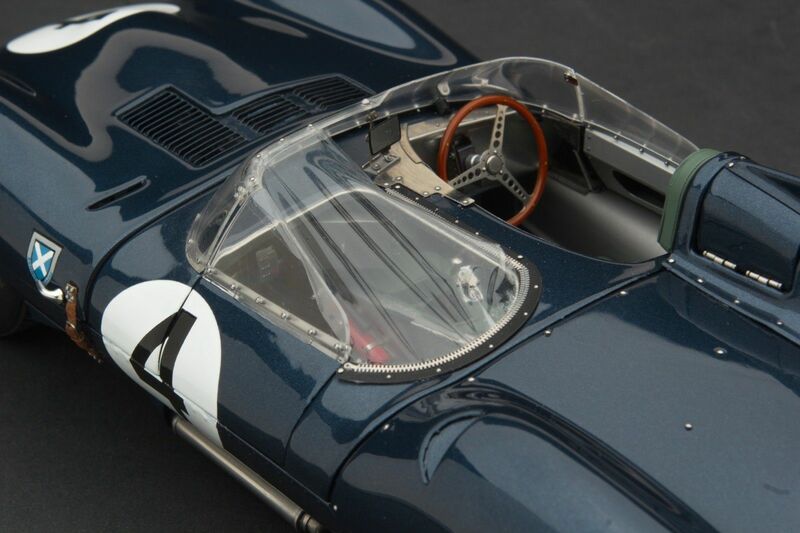 Winning the race and finishing ahead of the Aston Martin DBR3 driven by Stirling Moss and Peter Collins. 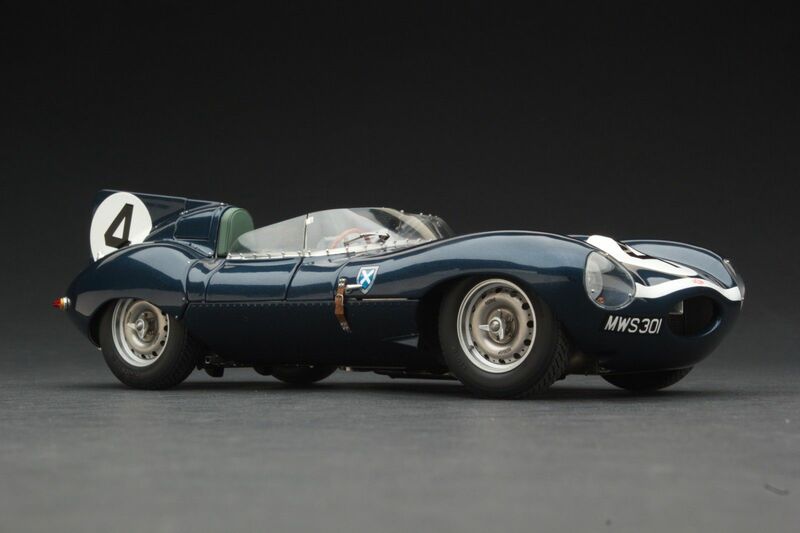 This is a brand new, Limited Edition, with quite incredible levels of detail, superb quality materials with over 2,000 individual parts and the ultimate 1:18 diecast model available anywhere in the world. 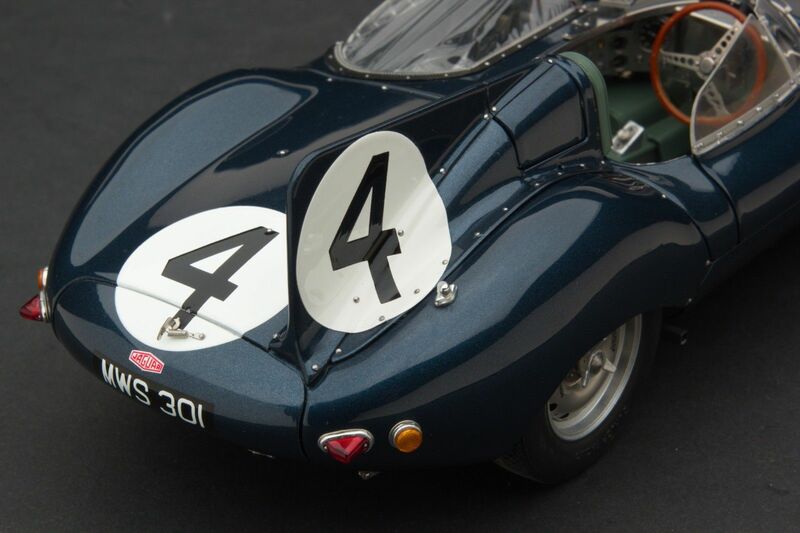 New model never removed from original packaging with original boxes. 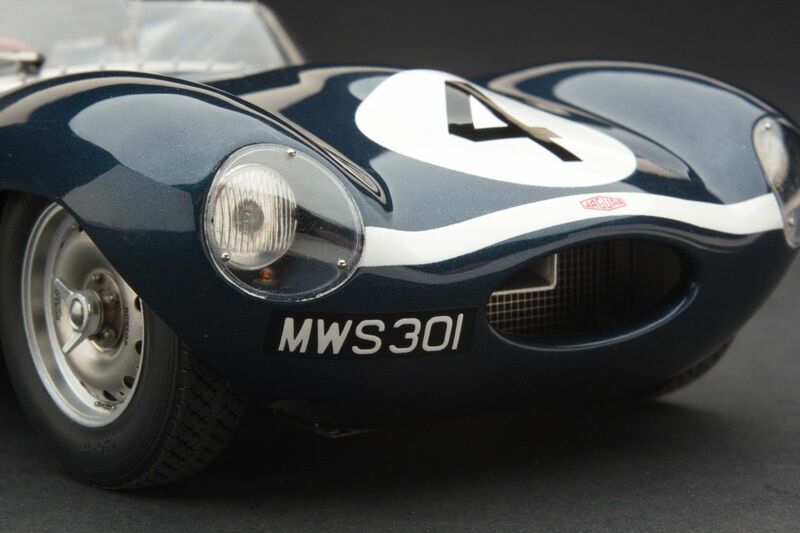 The model comes with the chassis seperate so you can see the amazing detail that goes into the Exoto models. 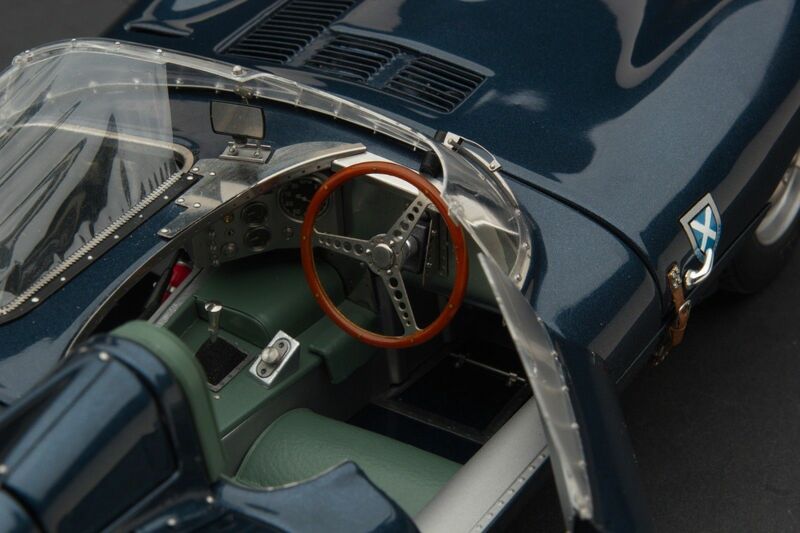 The bodywork then fits over and the wheels attached with historically correct spinners to complete this quite incredible model. 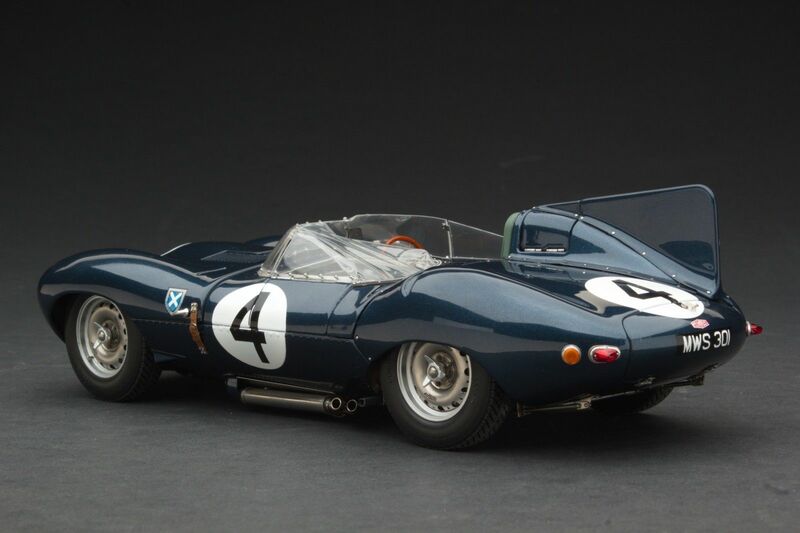 Some assembly required as this is totally new and unopened.